The Camden CM-30EE has a built-in 30-second timer is an economical and high visibility ‘Request to Exit’ illuminated momentary switch. 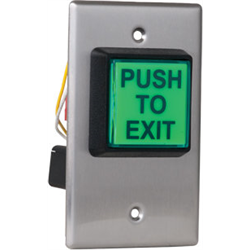 It features a large 2-inch translucent button for ease of use and a comes with a 12 V AC/DC incandescent light bulb that can be accessed through the front or rear of the switch. 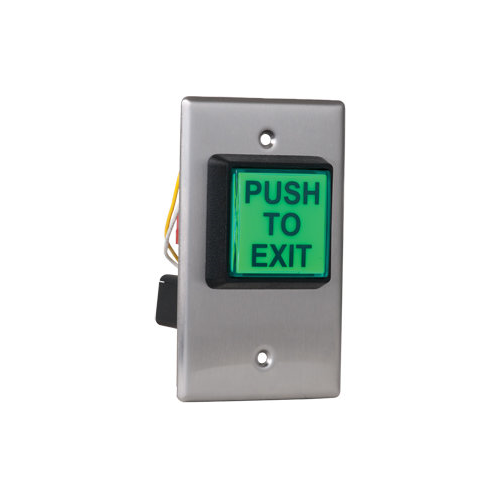 The devices double break circuit design ensures power to the connected maglock will be interrupted by pressing the button if a malfunction occurs in the timer or the request to exit sensor.